Indians should tap on contents that are “Hindutva Friendly” - and more such silly comments by Subramanyam Swami just took the conversation to the lowest level. 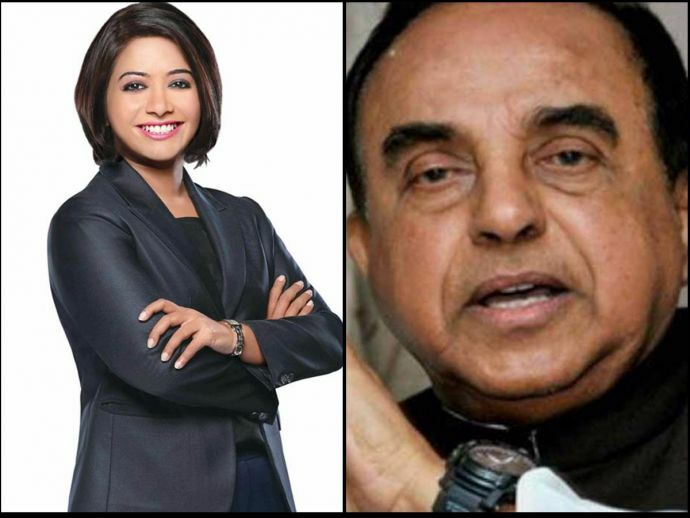 An interesting debate was triggered with Faye D’souza when Subramanyam Swami defended the Central Board of Film Certification (CBFC) by saying that Pahlaj Nihalani and CBFC has right to cuts. Giving you the background story on this, Babumoshai Bandookbaaz is an upcoming movie which has recently been given ‘A’ certificate with 48 cuts. When Kirran Shroff, the producer of the film went to talk to CBFC about it, wearing trousers and a shirt, she got horribly bashed by the members with their sexist comments. People there also went on saying that, how can a woman make such a film? Are we talking about child-friendly or Hindutva friendly. Do they mean the same? Swamy then explained a lot of mythology and called Maryada Purushottam Ram to his defense and explained what he meant when he said, “Hindutva”. Well, she should file a complaint as it is an offensive remark. We can’t tell women what they should wear. Clearly, if this is how the mentality of our minister is; I doubt what would happen in the coming days? And a recommendation of a saree over trousers is just hilarious, as you can clearly witness what piece of garment is more exposing? Furthermore, one clearly needs to widen the gaze of their inner wisdom when it comes to films. Which also leads to the irony that; CBFC can themselves suggest numerous changes in the film based on indecent shots but when it comes to themselves, they’re not confined to any level of decency.